Come and discover Kajang and learn about the life, malls, and people in the area. Find out more about the schools and properties that are available here. Discover life at Nadayu 92, read reviews of the place, see photos of the property and gather information from comments of the locals to make a better buying decision. 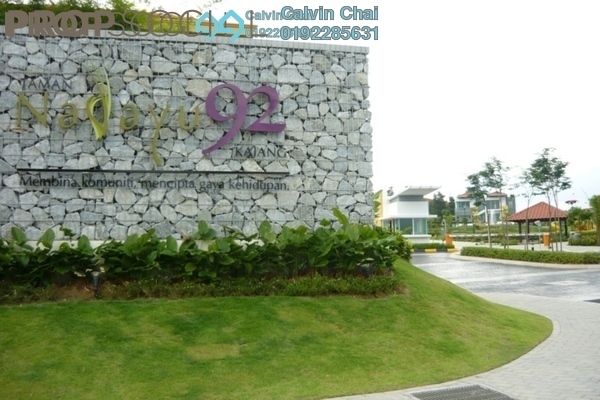 Nadayu 92 (also known as Taman Nadayu 92) in Kajang is an area that provides a relaxing lifestyle that allows its population to enjoy a peaceful, lush greenery surrounding and quiet environment away from the hustle and bustle of the city centre with gated and guarded concept. Development, who received overwhelming response by house buyers. The freehold terrace houses with various sizes are developed in a 68.6 acres of land area. To check out more information and arrange for viewing appointment. I am Ken Yew, the owner of this property. I wish to this property. Kindly contact me for further details.